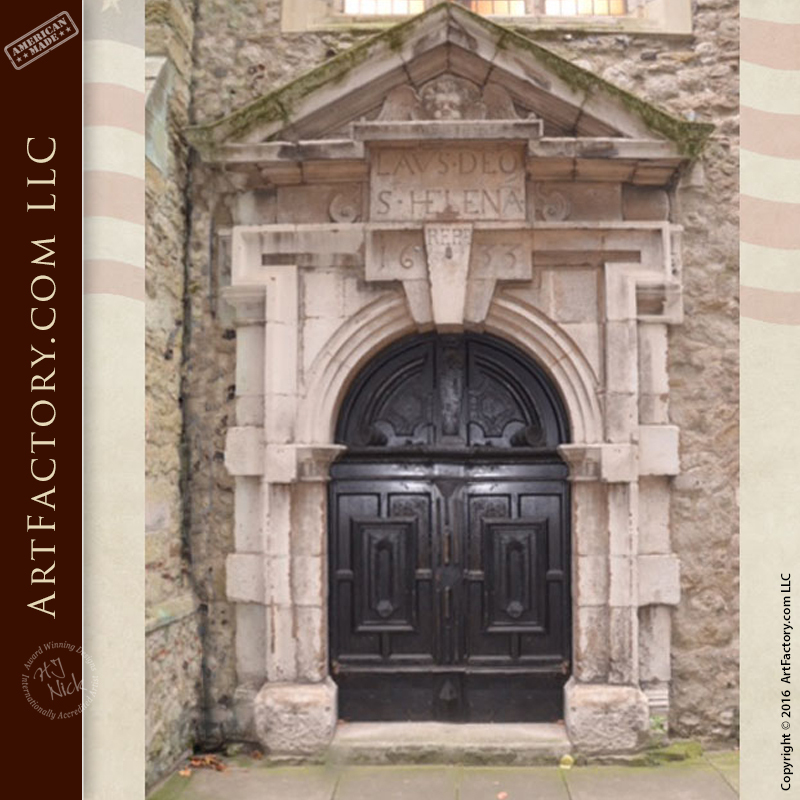 Hand Carved Church Door is inspired by St Helen's Bishopsgate, a large conservative evangelical Anglican church located off Bishopsgate in London. It was the parish church of William Shakespeare when he lived in the area in the 1590s. In 1608, Sir Alberico Gentili, the founder of the science of international law, was buried in the church. St Helen's Church is within the Conservative Evangelical tradition of the Church of England, and it has passed resolutions to reject the ordination of women and/or female leadership. If you are looking to have a piece of history in your home, ArtFactory.com can make that happen. We can take this door and your wants and needs and combine them to give you the grand entrance or interior door you are looking for. Our staff of designers and master craftsmen can tackle any project big or small. Find your piece of history or start with this historic door and call us to begin your creation today.